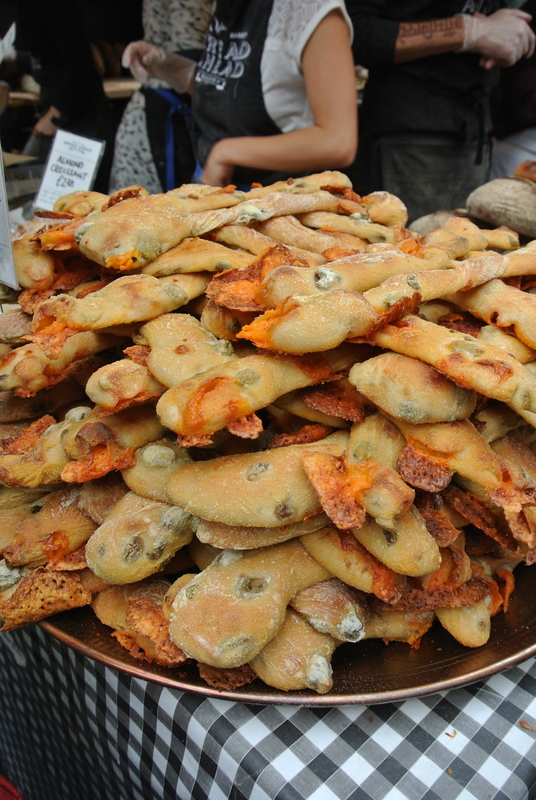 Back in August 10, 2012, I wrote my first post on Borough Market and I love this market so much that I make it a point to go every time I’m in London. 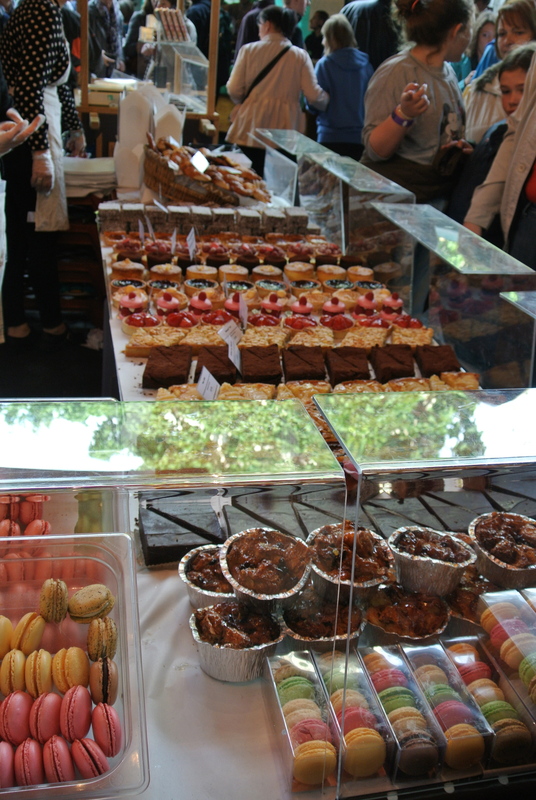 What makes this visit different from the others is that I made a point to eat more food! And nothing was a disappointment! So, I’m going to keep the post short because I think the pictures speak a thousand words. Enjoy! 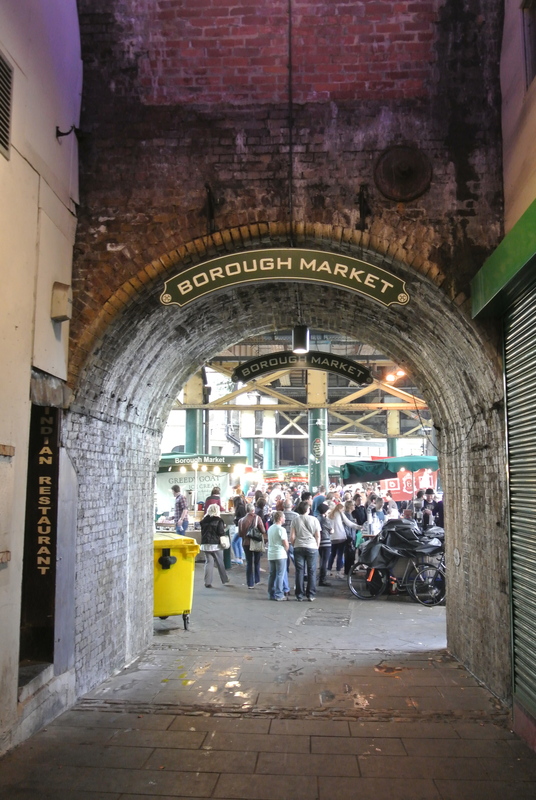 Entrance to Borough Market – located under overground trains. 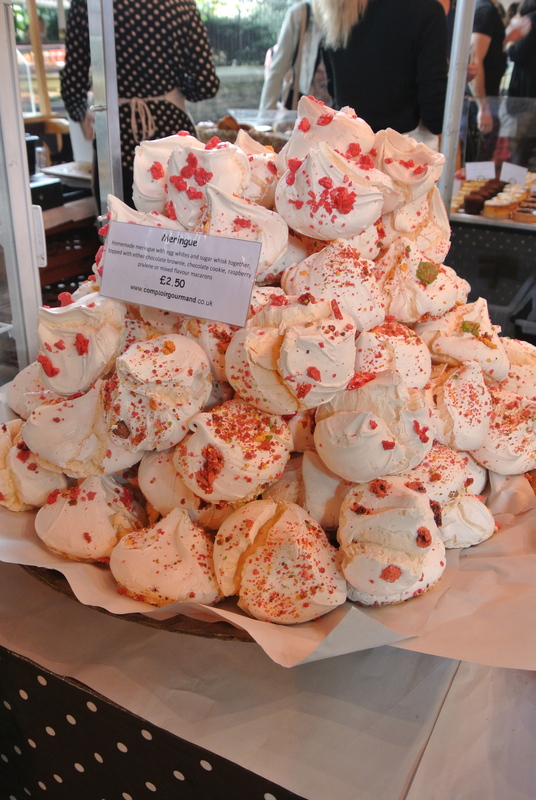 Cake anyone? 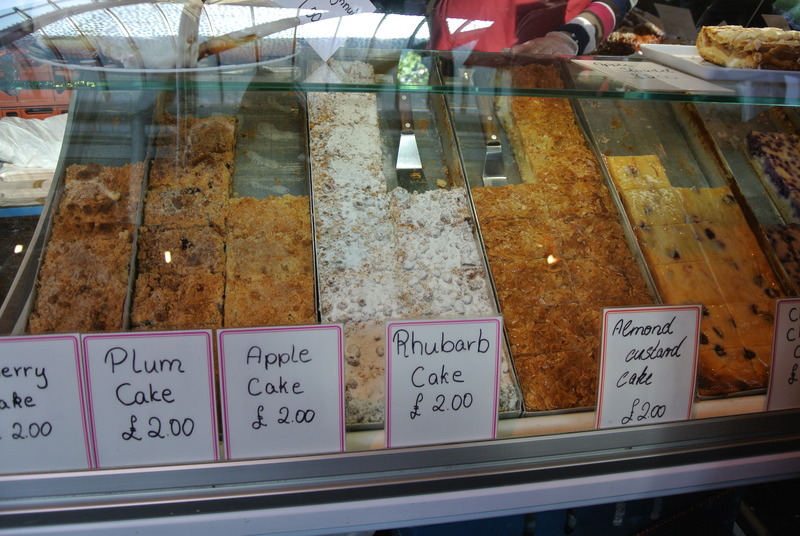 So many different kinds to choose from. 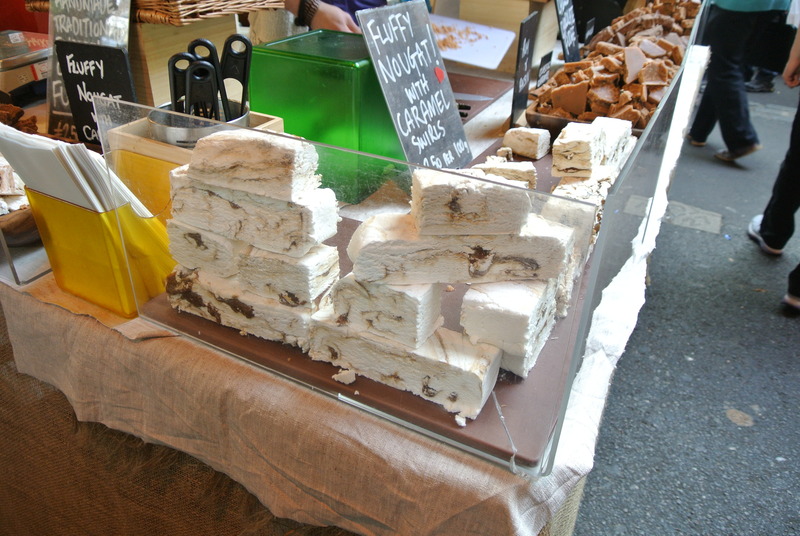 One of my favourite sweets to eat is nougat and never have I had fresh made nougat so when I found this vendor, I had to get a slice…..it wasn’t cheap but it was well worth it! Delicious! 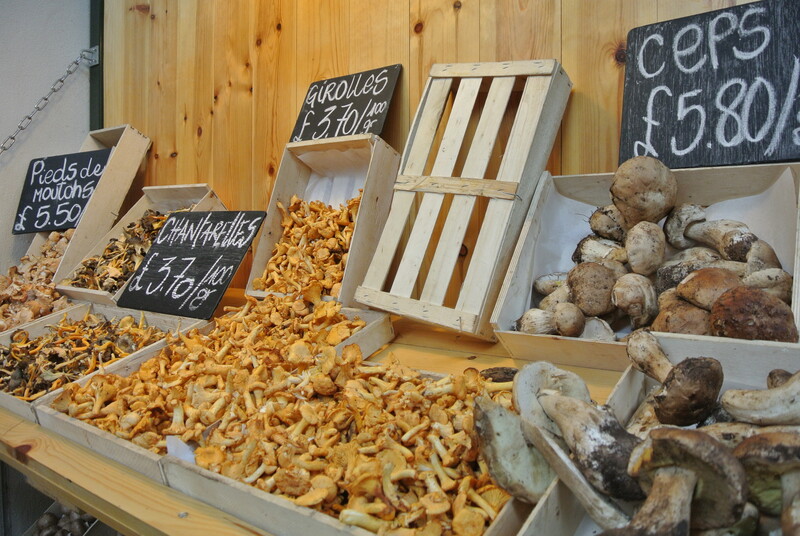 Another favourite (I have so many) – reminds me so much of my trips to France! 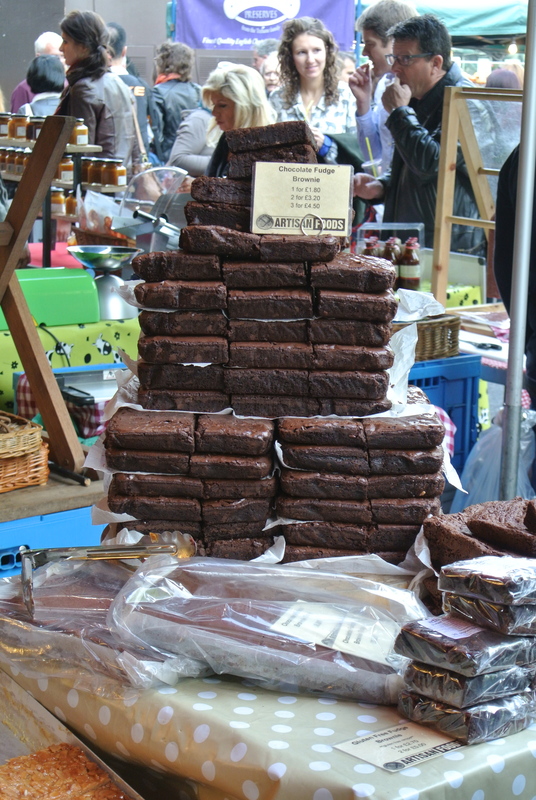 You can’t go wrong with brownies, a signature item at Borough Market! 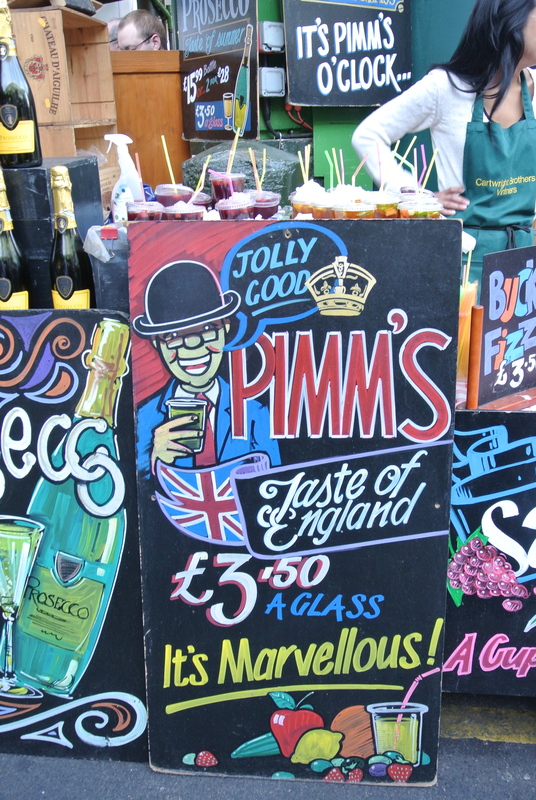 I love the British, they like to drink while shopping! 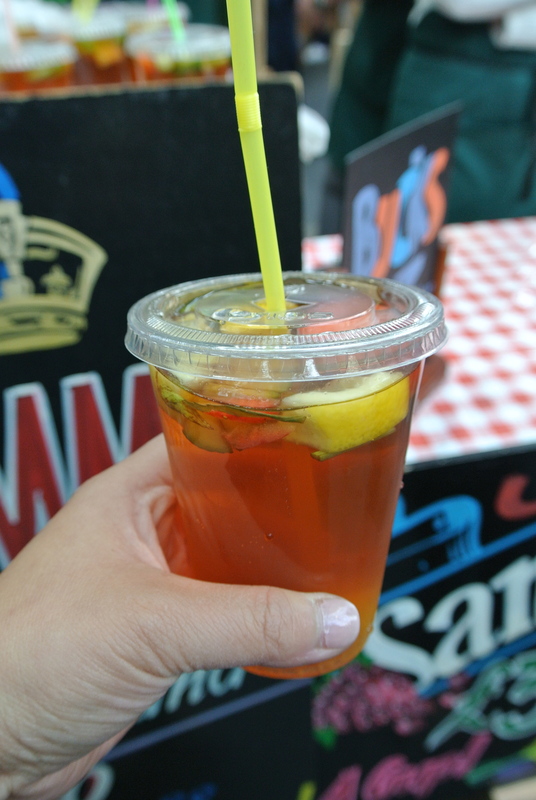 A Pimm’s cup while I walk the market, perfect for brunch! 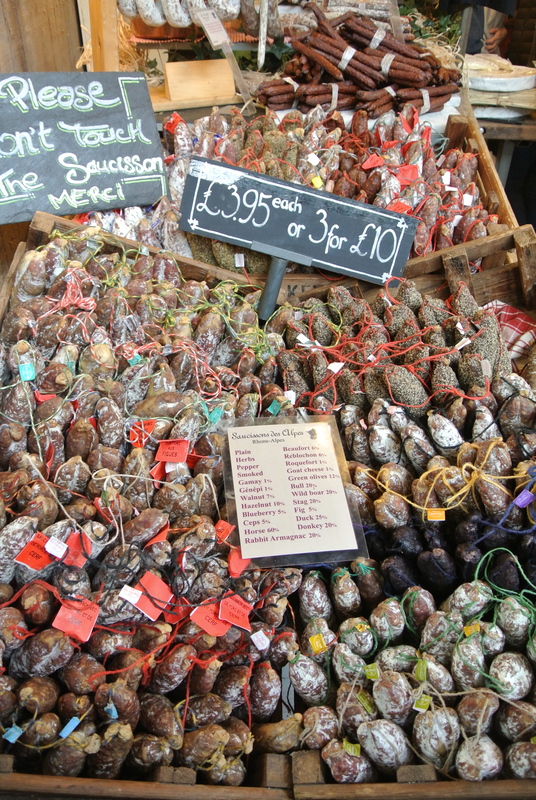 The infamous chorizo sandwich. I first had it in 2006 and it tastes just like I remembered it back then! 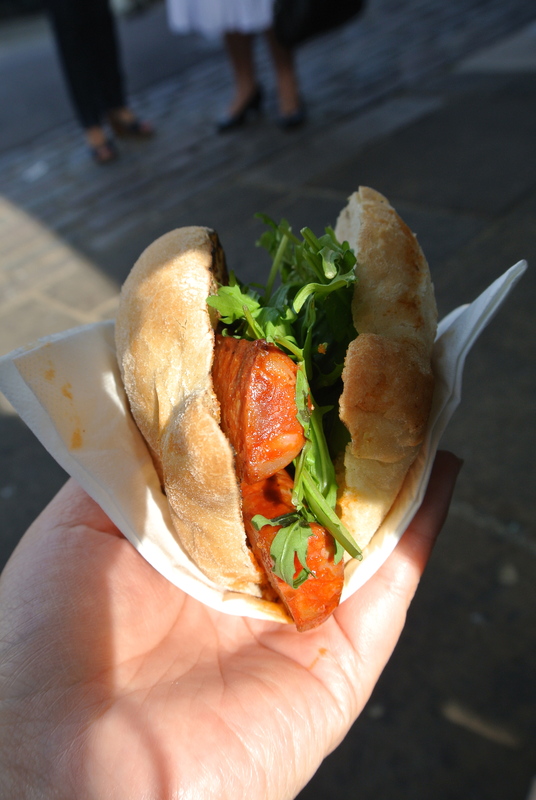 Beautiful chorizo sandwich – so fresh and tasty! 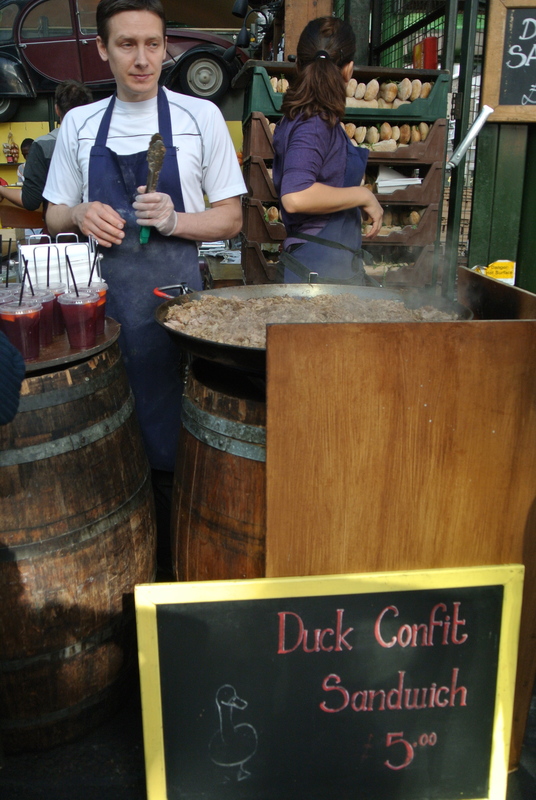 Making fresh duck confit sandwich. 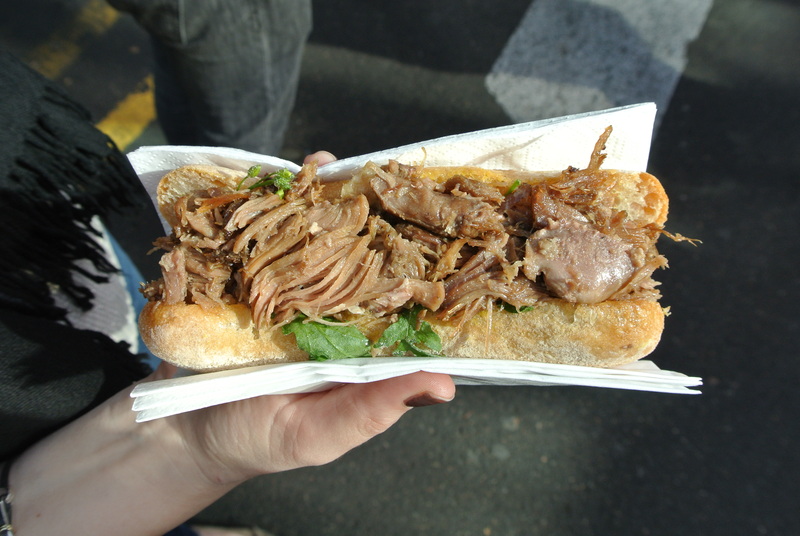 Duck confit sandwich – look at all that duck meat! What a deal for 5 pounds! 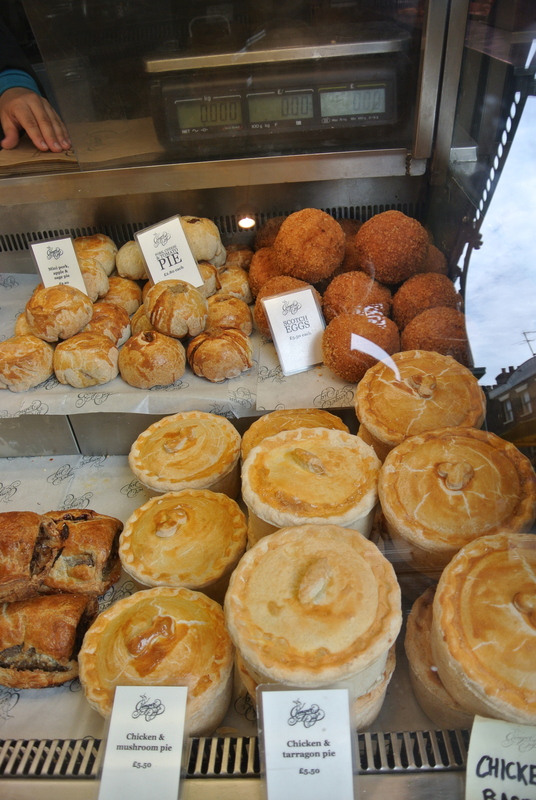 Traditional British foods – scotch eggs and meat pies! 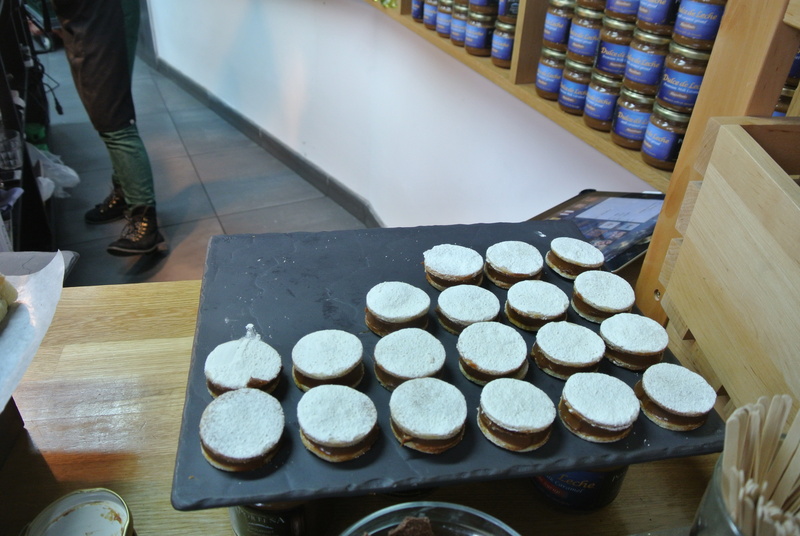 Gorgeous and yummy alfajores from Portena in Borough Market! 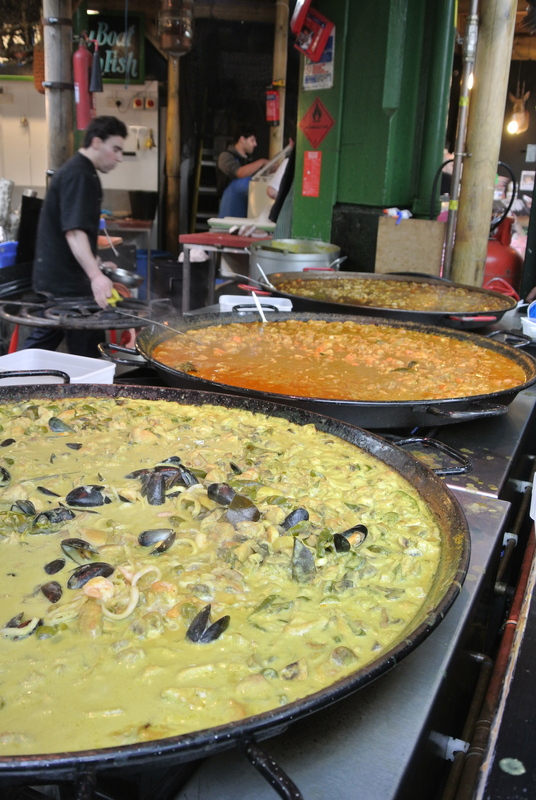 Delicious Argentinian foods! 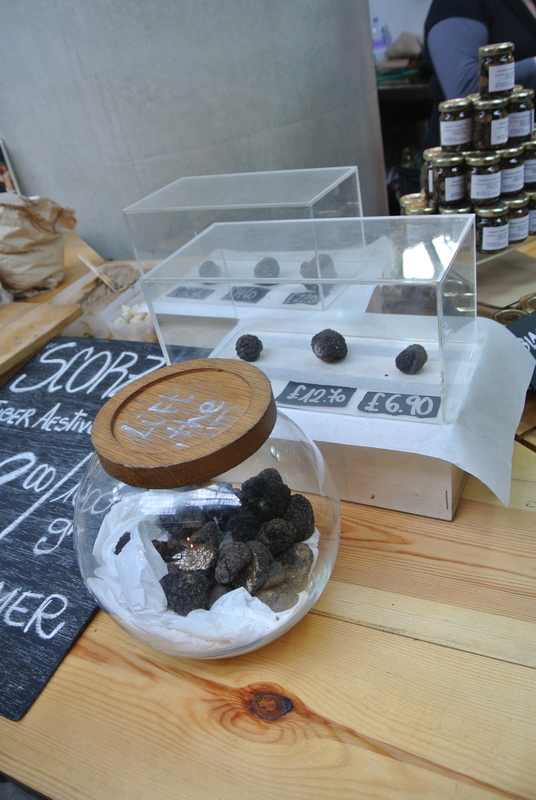 You guessed it…..black truffles! And you know I took a whiff of the jar! 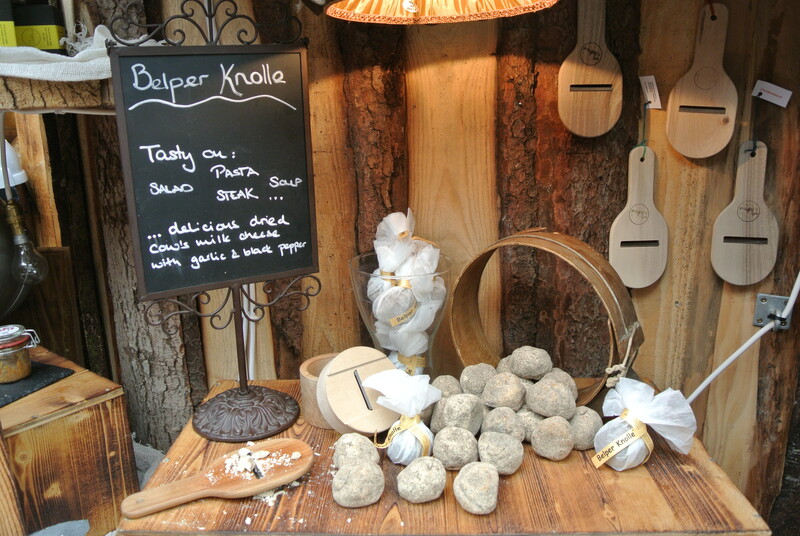 Delicious belper knolle cheese…..really sharp taste! 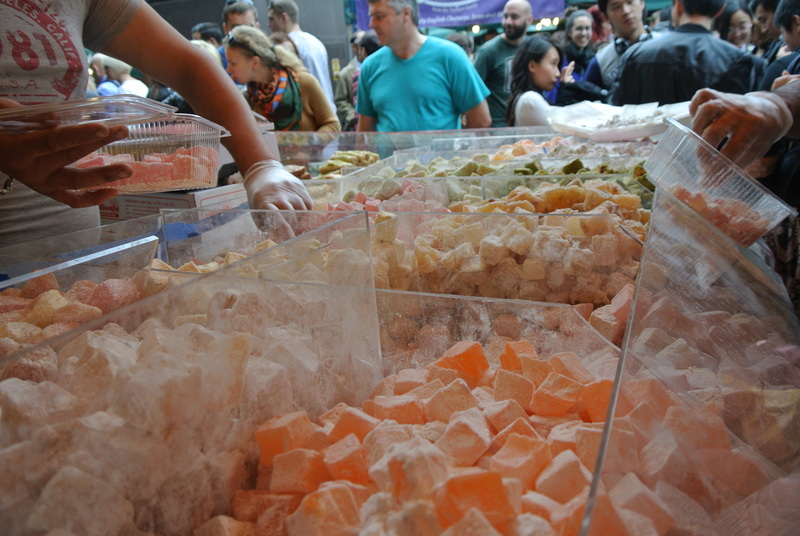 So many different kinds of turkish delight! 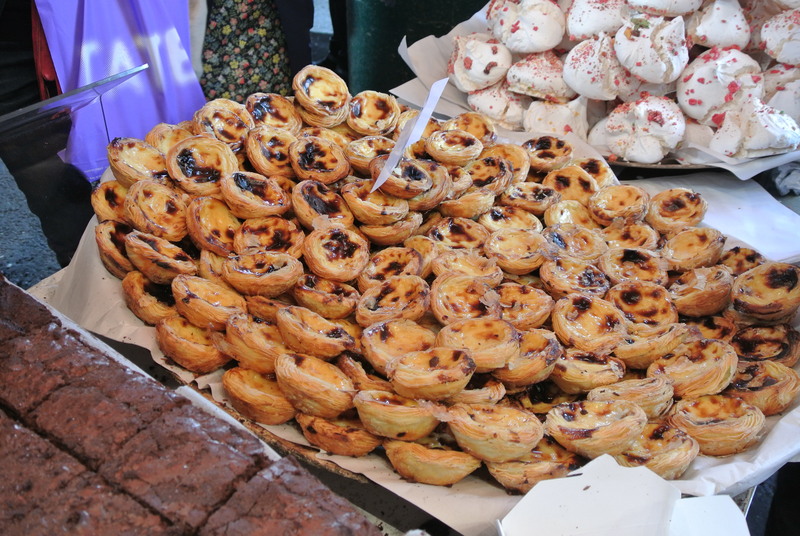 An abundance of portuguese tarts. How cool is this? 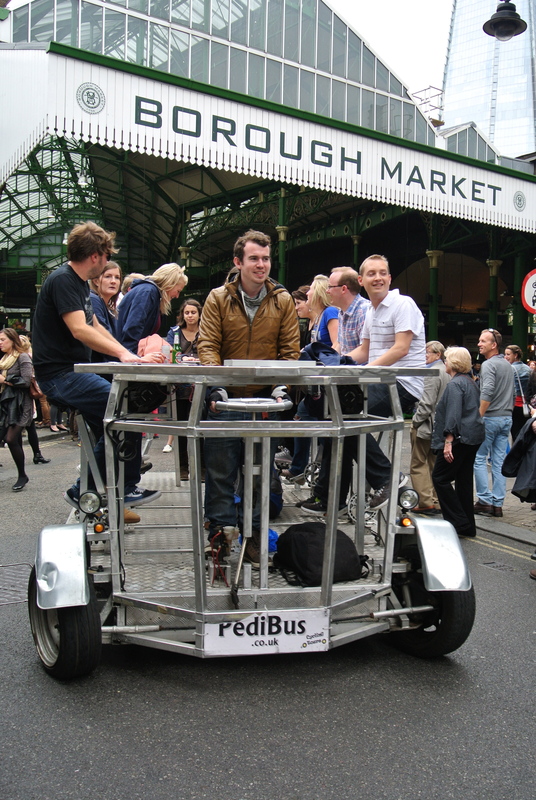 I saw these guys on a “PediBus” pedalling around the market. 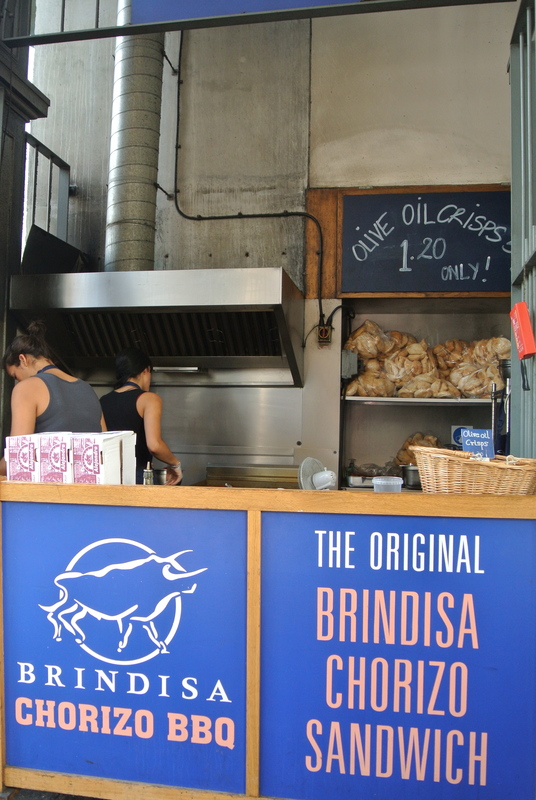 I’ve added this to my bucket list for my next London visit!